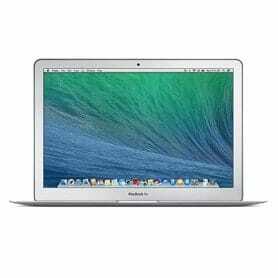 We came across a MacBook Air that had a spiderweb crack. This spiderweb crack actually resulted from a hit to the apple logo on the back of the display. The impact actually cracked the apple logo as well! After replacing the LCD panel, the laptop was functional again. 13 inch MacBook Air with a spiderweb crack in the LCD panel from an impact to the apple logo on the back of the display. It is not a super common occurrence, but sometimes a hit to the back of the MacBook Air can crack the Apple logo as well as the screen. The LCD replacement will fix the display, but not the Apple logo. We do not offer Apple Logo replacement as a component level repair, so it would require replacing the entire display. Sometimes when a MacBook air suffers damage that causes a cracked screen it will also have bent corners or other dents. Usually these marks are completely cosmetic and do not cause any issues with the usability of the MacBook Air. We can replace just the LCD and ignore the other cosmetic damage. This is a good way to keep the repair cost low during the process! Quality service is our highest priority. Your business is important to us. 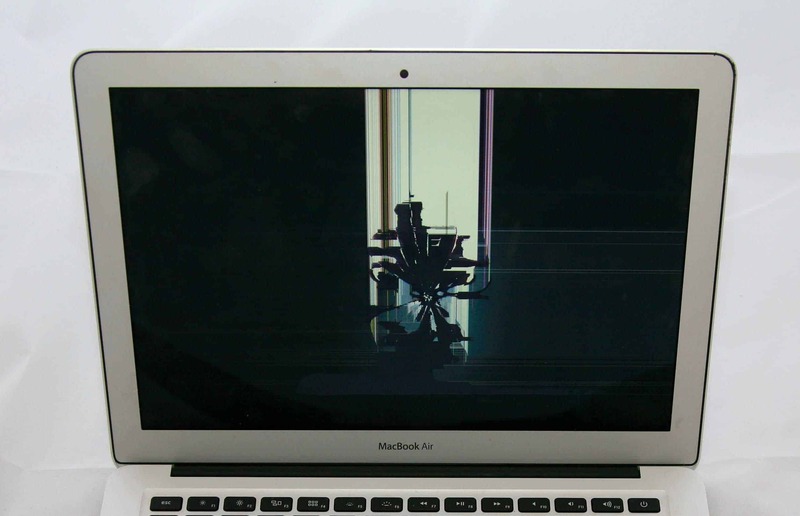 Trust our experienced technicians to repair your MacBook screen.